Waterfall Info: This is the second waterfall on an unnamed tributary of Frogtown Creek that flows from Cedar Mountain. It's a series of sliding and free-falling drops that has been referred to as Long-Combo Falls by Mike Hiler, who first documented the waterfalls on this stream. The coordinates are for the base of the most scenic (pictured) drop. 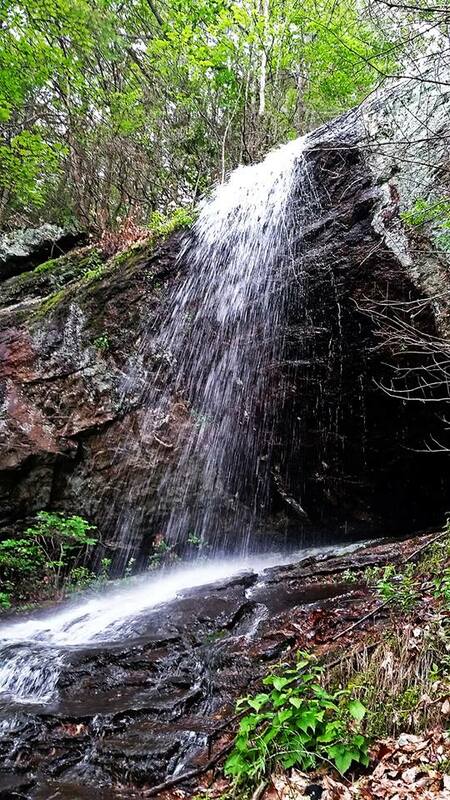 Access Info: To see the waterfalls on the stream that flows from Cedar Mountain, bushwhack upstream from the Lower DeSoto Falls Trail that begins in the DeSoto Falls Recreation Area off US 129.